You are at:Home»Herbs»Aconitum Heterophyllum Wall. Latin name : Aconitum heterophyllum Wall. Description : This species does not contain the toxic alkaloid Aconitine and so it is said to be non-poisonous. Tuberous root is acrid, analgesic, antiinflammatory, antiperiodic, antispasmodic, aphrodisiac, astringent, bitter, carminative, cholagogue, digestive, expectorant, febrifuge, stomachic, thermogenic and tonic. 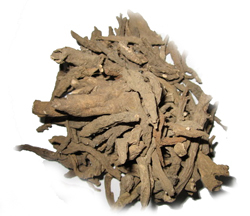 It is valuable for combating debility and after fevers it is an excellent tonic. Useful in malarial fevers. Also useful in diarrhoea, dysentery, haemorrhoids, liver disorders and vomiting. It is also very helpful in cough and dyspepsia. It possesses potent immunostimulant properties. It is also prescribed in deranged metabolic conditions and internal tumours. Recommended Dosage : 15 mg to 30 mg powder of root. Contraindication : Overuse (many times the recommended dosage) should be avoided, as it may cause serious problems.